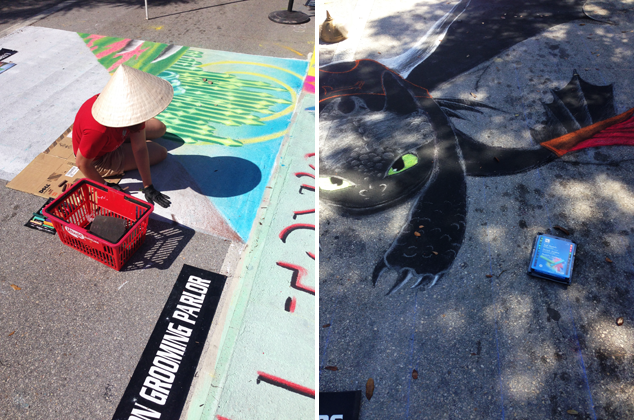 On Sunday, my cousin took me to a unique street fair in Lake Worth. 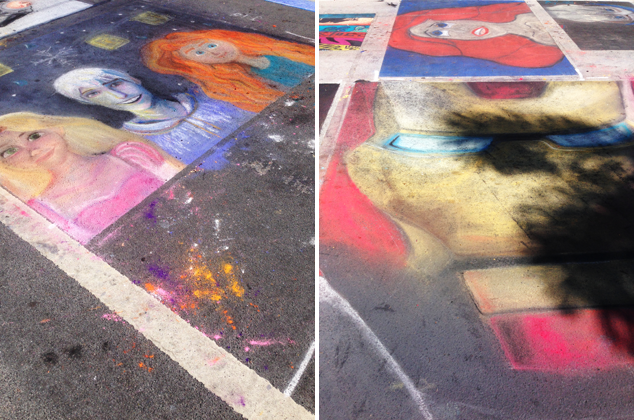 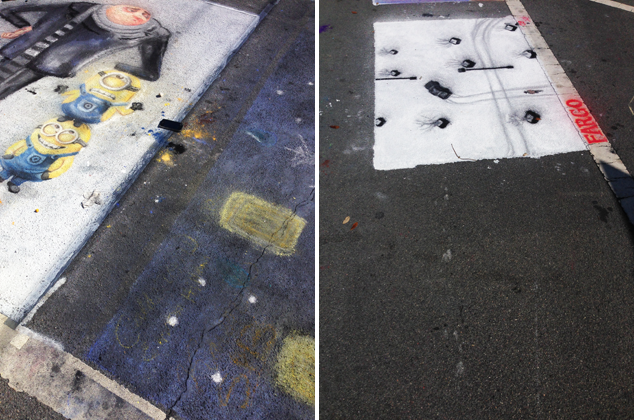 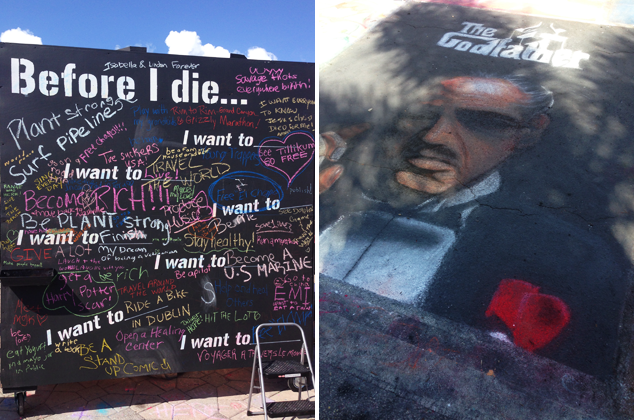 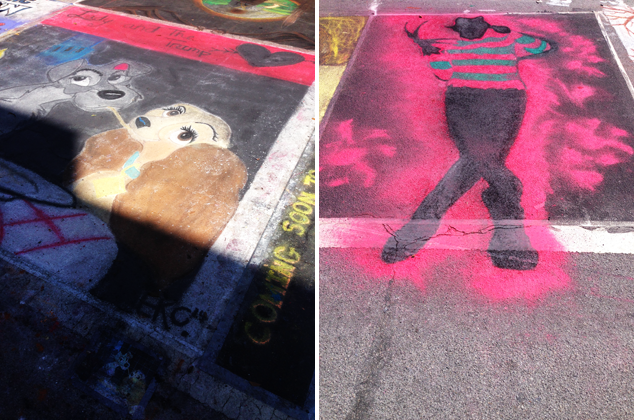 I've seen some great chalk art in NYC, but the subjects of these paintings were so much more fun! 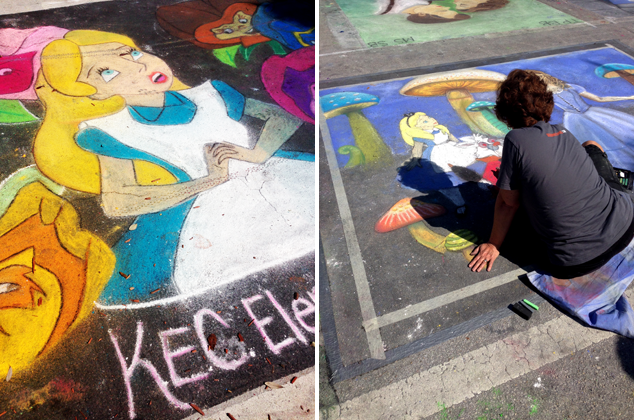 I think I enjoyed seeing all the Disney movies etched onto the sidewalk more than my two year old nephew.